These guys are the best of the US Army – culled from the top Rangers and Green Berets to form the Delta Force. 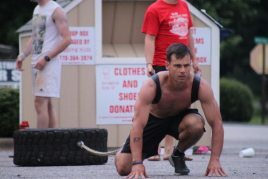 Check out these Delta Force workout routines. Delta Force is is a Tier 1 covert unit (also called CAG or “the Unit”). Delta is often used in hostage rescue situations and covert operations so you may not hear about them much. But know that they are there – and along with SEAL Team 6 (DEVGRU) are the forward assault group for counter-terrorism. Training is hard and multi-faceted and these guys are always on the go. They often don’t have time to stop in a the local Globo-Gym and work the pec deck machines and preacher curls. They may end up doing a bodyweight workout in the hull of a cargo ship or or on the tarmac of a distant air field. These operators have to improvise on work outs and get creative. 800m (if unable to run long distance due to enemy terrain then do jumping jacks and 20 meter suicide runs (break up into 4 parts with 5 meters each). One of the big key features of a Delta Force workout is that you don’t have fancy gear or equipment as many times overseas these guys don’t have access to shiny gym and have to adapt, improvise and overcome. Question: What is a good book to learn more about Delta Force? We like the book – Delta Force: A Memoir by the Founder of the U.S. Military’s Most Secretive Special-Operations Unit . It is written by the guy who started Delta Force and gives a really good look at what goes on inside and behind the scenes at “The Unit”. Check it out as it gets many good reviews on Amazon. then go run the nearby obstacle course. If you don’t have a course then run to local playground and crawl under and jump over each play stationary park. run to and do obstacle course. 1st Special Forces Operational Detachment-Delta (1st SFOD-D) is one of the United States’ secretive tier-one counter-terrorism and Special Mission Units. Known on the streets as Delta Force, it was formerly listed as the Combat Applications Group by the Department of Defense but has since been officially re-designated the Army Compartmented Elements (ACE). While 1st SFOD-D is administratively supported by USASOC, it falls under the operational control of the Joint Special Operations Command. Delta Force and its Navy counterpart, the Naval Special Warfare Development Group (also known as DEVGRU or SEAL Team Six), are the United States military’s primary counter-terrorism units. Max air squats in 2 min. Check out these questions from athletes at our gym. Question: “What is a Tier one operators 2 mile ruck march times?”. Well.. this depends on the terrain, load of pack and temperature. If it is jungle98 degree hot and the ruck is straight up hill on a muddy dirt road – that will be different from a ruck test on a hilly gravel road in 40 degree desert temperature. Question: How do you train for Delta Force Selection?”. Check out all of the workouts above. You need to have a 20 mile ruck march at night under your belt. You also need to have highly competitive physical standard test scores. Question: Does Delta Force use CrossFit style workouts? Yes; when Delta does the Murph workout that is CrossFit. Question: “What are the Delta Force PT requirements?”. See the fitness requirements listed above. Question: “Coach, I will never be in the Army let alone Delta. Is there a way I can do a Delta Force home workout?”. Ha, well yes. Several of the workouts above you can do out of your garage or basement gym. Another one – in a small space do 5 minutes of max burpees. 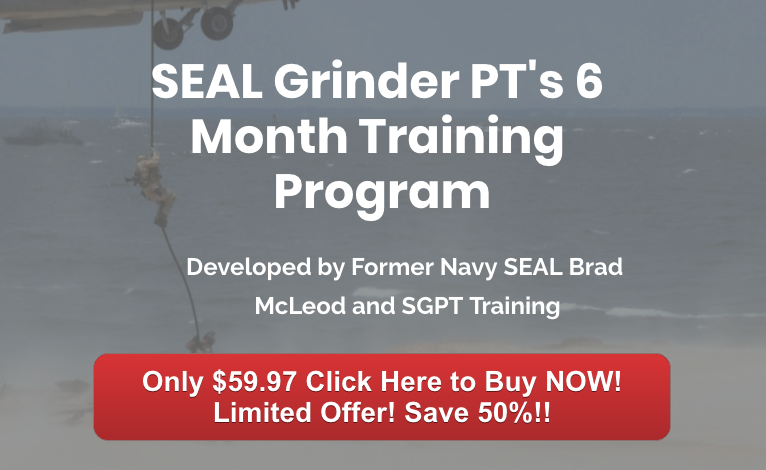 That is a good Special Forces workout you can do at home with very little space. If you need more workouts just email me. 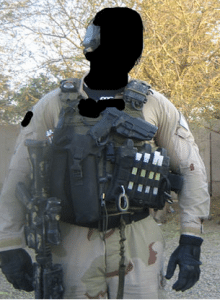 Question: “What is the tactical vest layout? Check out the photo at the top of this page. Question: What is the deal with all the Army abbreviations for ace can delta? Those are all of the designations that Delta has been called over the years. Question: Do the delta force road march? Well.. yes; part of their ruck marches will be over tough terrain but they may also get on a gravel road for short periods also. 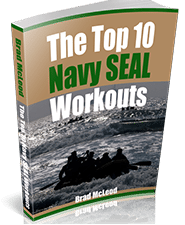 Question: What is a tier 1 navy seal workout? Check the workouts above. Question: Do you have a list of ACE/Delta Force books? Question: What is a tier above delta force and devgru? These groups are tier 1 so there is no tier above that. Question: How is Goruck selection compared with army delta force training? GoRuck selection is 48 hours. Delta Force is much longer and teaching you skills. We do recommend all of the GoRuck courses if your training for Special Forces or Delta. sounds like a tough workout. that’s why i’m goona do it today! The best type of weight vest I trained in was on a website that have very durable vests in various weight ranges. The website is weightvest.com. I had a vest for about 2 years until I gave it away from a friend, Anyway it was durable and washable, It had 2.5lb metal bricks that you can remove out the pouches to set a weight bet for you. The vest is 100% US Made and it has a Lifetime Warranty. Hope this info is helpful for every one. I served 8 years in the ARNG and Army Reserves. I have no deployments, but volunteered and re-classed 3 different times to deploy. I have always been at the top of my units physical fitness list. I am a 92Y,11B,31B, and 19D. I was Honor Graduate as a Military Police, and was chosen to give a graduation speech in Infantry school. I Ets’d in November in hopes of going Active duty 18X. Shortly after doing so I became victim to the tattoo policy. I don’t believe my tattoos have anything to do with my character but basically what I am doing I try to find out is there any way I can get an opportunity at a CAG tryout or am I just stuck on the outside looking in. I would really appreciate actual information. Thank you so much. Are you talking to an Army recruiter?